The buttons and links below lead to Houghton Heritage Society's downloadable JPGs and PNGs which you are welcome to download for your own personal use. If you make use of our wallpapers etc, and want to show your appreciation, please visit our home page which has information on how you can support the Society with a donation, however large or small. Many have kindly been prepared by PCimaging.co.uk who helped with the Houghton Feast brochure artwork. If there are any desktop wallpapers you would like to see appear here, please drop us a line. 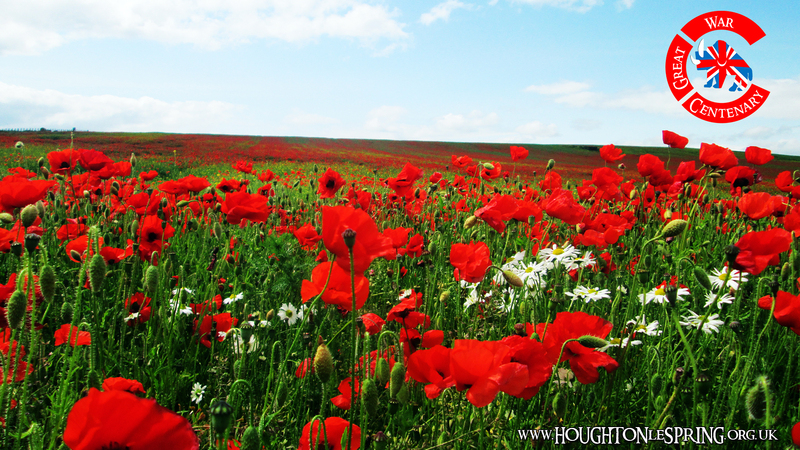 This PC desktop wallpaper features a view of poppies growing in the fields of Greenshields Farm, Stoneygate, Houghton-le-Spring. 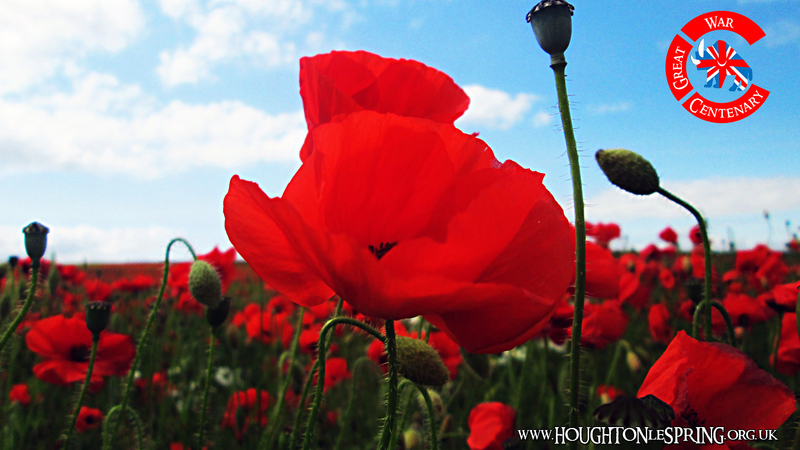 Very apt for the Great War Centenary year of 2014. 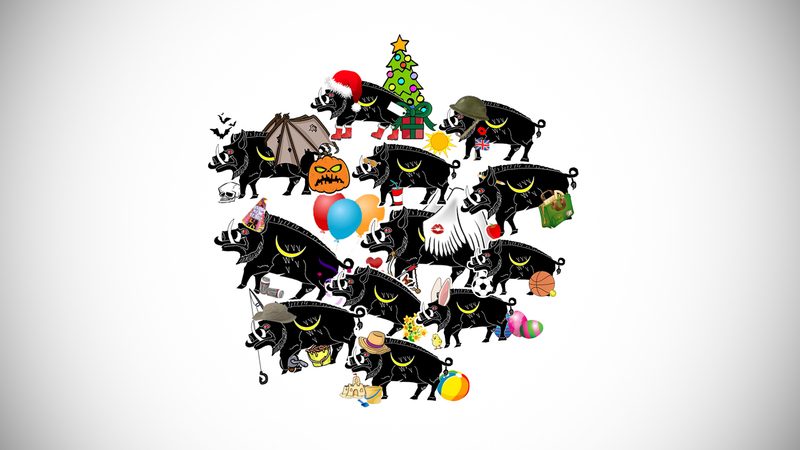 This PC desktop wallpaper features the Wild Boar from the Gilpin Crest, as adopted by Houghton, in a variety of seasonal (and comedic) poses, including Valentines Day, Christmas, Hallowe'en, Easter, Summer etc. This PC desktop wallpaper was produced for Houghton Feast 2013 and features the colourful cartoon boar logo as drawn by Simone and Lily, local school children, for the Festival's programme of events. 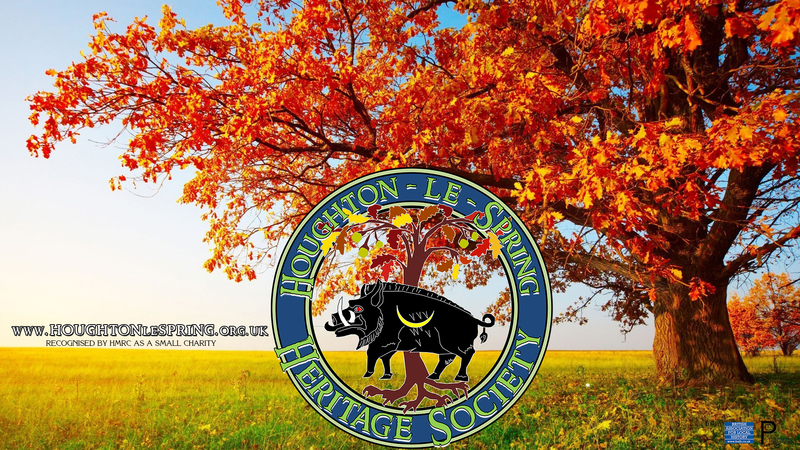 This PC desktop wallpaper features the colourful logo of Houghton-le-Spring Heritage Society against an autimnal backdrop. Click the button above to get the large JPG which can then be saved to your computer. This PC desktop wallpaper was produced for Houghton Feast 2012 and features an impressive view of Houghton Parish Church. Click the button above and the downloadable JPG will open in a new window. 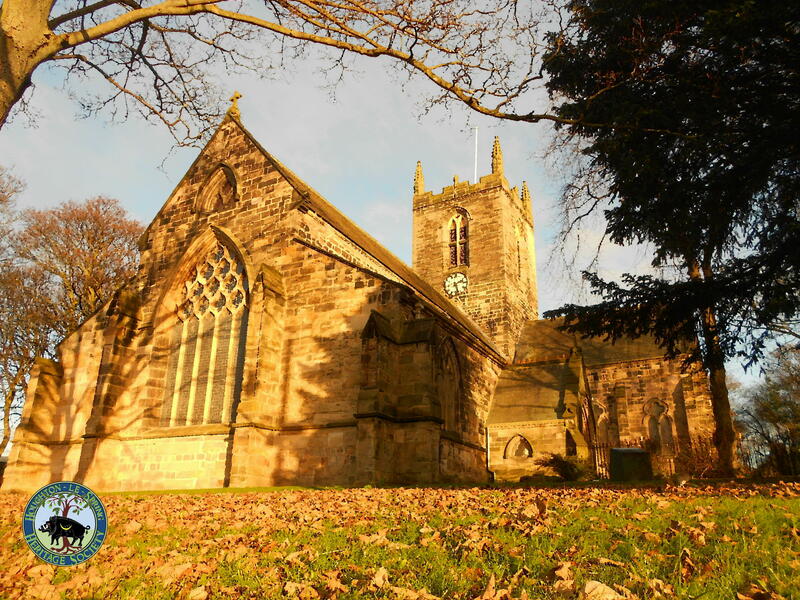 This PC desktop wallpaper features another great view of St Michael's Church, Houghton-le-Spring. Click the button above and the downloadable JPG will open in a new window where you can save it. 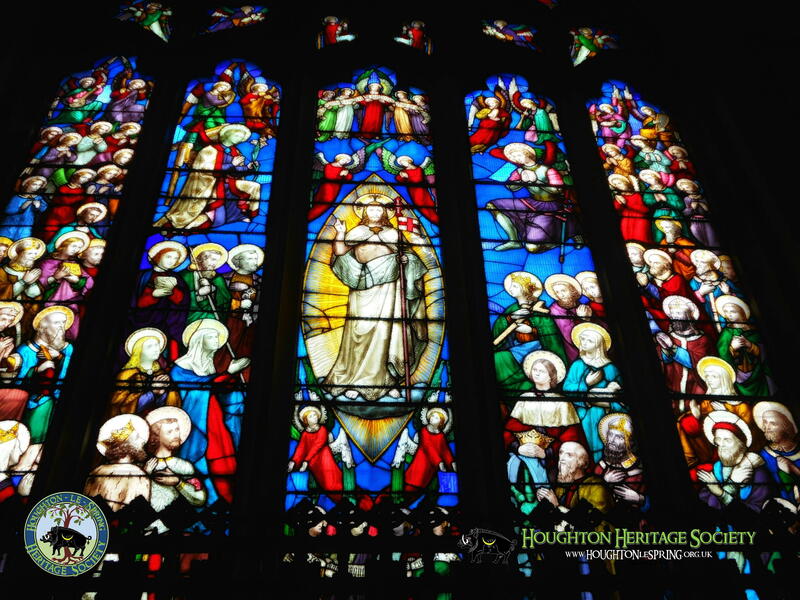 This stained glass window can be found in the east window of St Michael & All Angels Church, Houghton-le-Spring, and was paid for by Sir George Elliot, Bart. Click the button above to get the JPG. 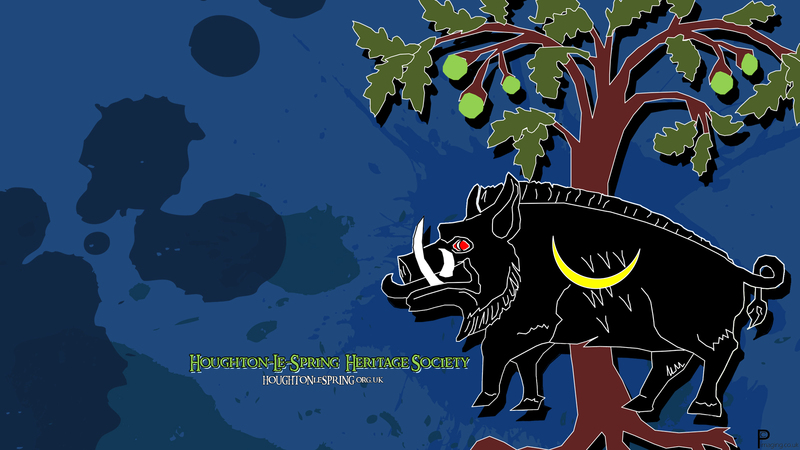 A colourful PC desktop wallpaper featuring the wild boar from the Heritage Society's crest. Make this your wallpaper and help to promote the Society. Tell your friends about our free downloads! 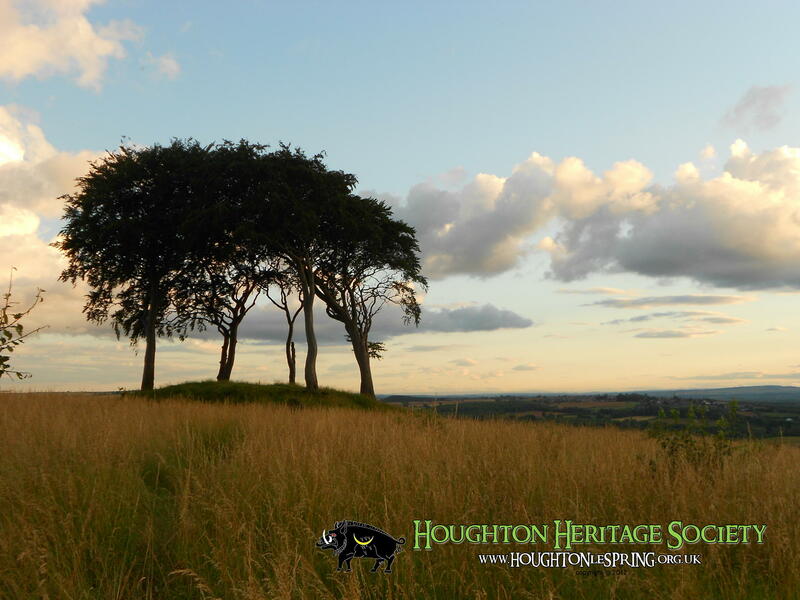 The Seven Sisters are mystical trees growing on a neolithic burial mound at Copt Hill, next to Seaham Road, in Houghton-le-Spring. This view was captured in August 2012 around 8 o'clock in the evening. 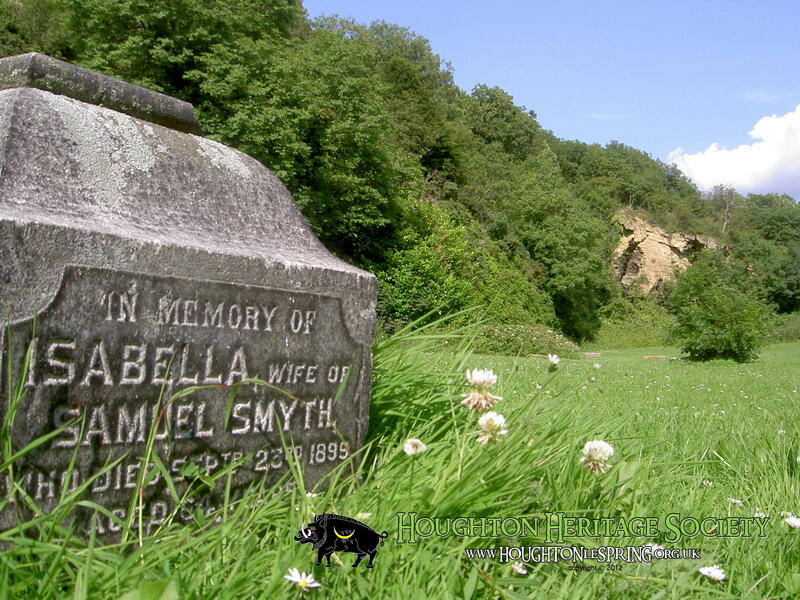 This colourful view shows the chunky base of Isabella Smyth's memorial at Houghton Hillside Cemetery. The magnesian limestone rocks can be seen in the background, photographed in July 2004. This PC desktop wallpaper features the 1960s White Lion building, with a painting effect applied. Click the button above and the downloadable JPG will open in a new window where you can save it. 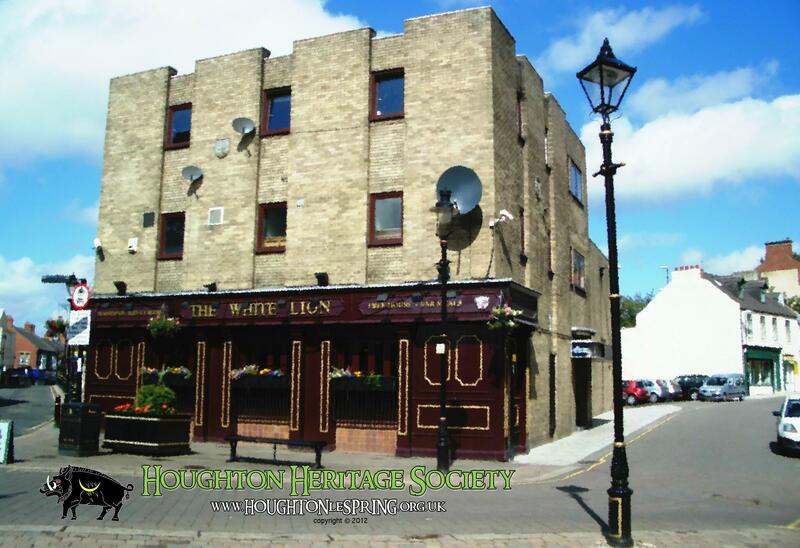 This PC desktop wallpaper features the Golden Lion pub on a wet and damp day, with a soft oil painting effect. Click the button above and the downloadable JPG will open in a new window where you can save it. 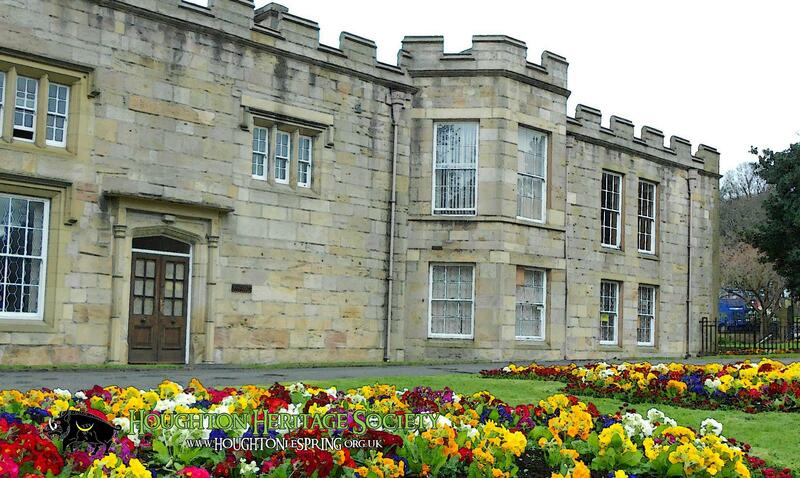 The Rectory building in the centre of Houghton is now owned by the City of Sunderland Council. This desktop wallpaper shows a summery view of the Rectory. Click the button above to get the JPG. This PC desktop wallpaper was produced for Houghton Feast 2012 and features the Houghton Feast logo on a Union flag background. It was produced to celebrate the Diamond Jubilee in October 2012. 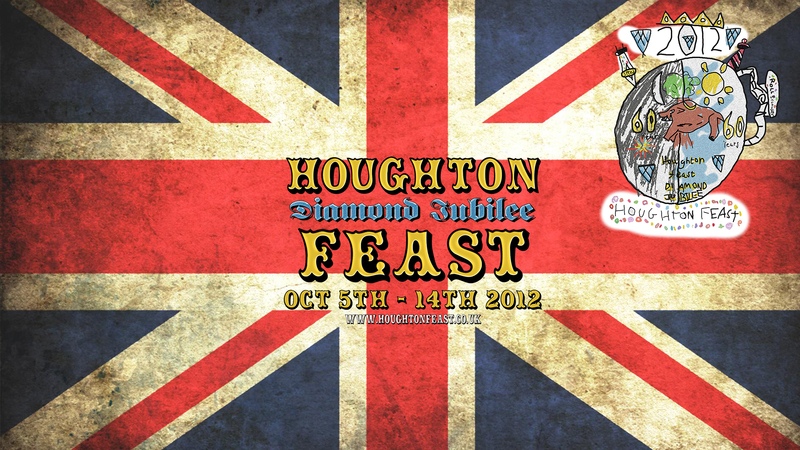 This PC desktop wallpaper features the Houghton Feast 2012 logo as created by Bradley McCarthy as part of the Heritage Society's Feast logo competition earlier in the Diamond Jubilee year. 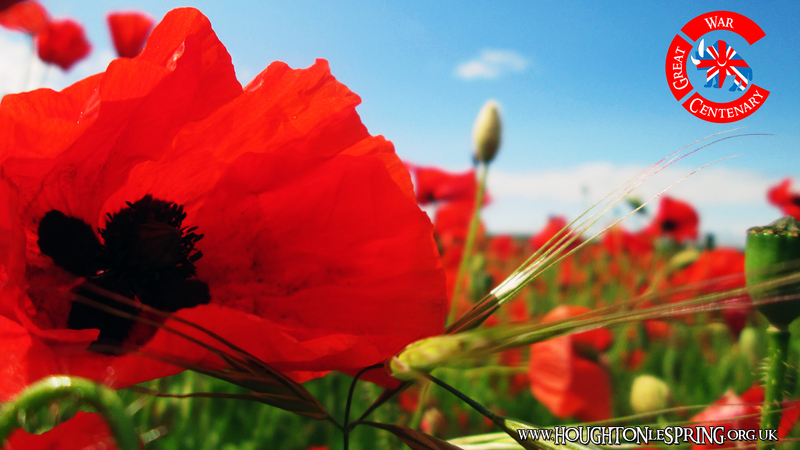 These Facebook covers can be downloaded and used to personalise your Time Line. They are themed on Houghton Feast 2012: "Brrr, it's getting cauld - it's Houghton Feast weather." 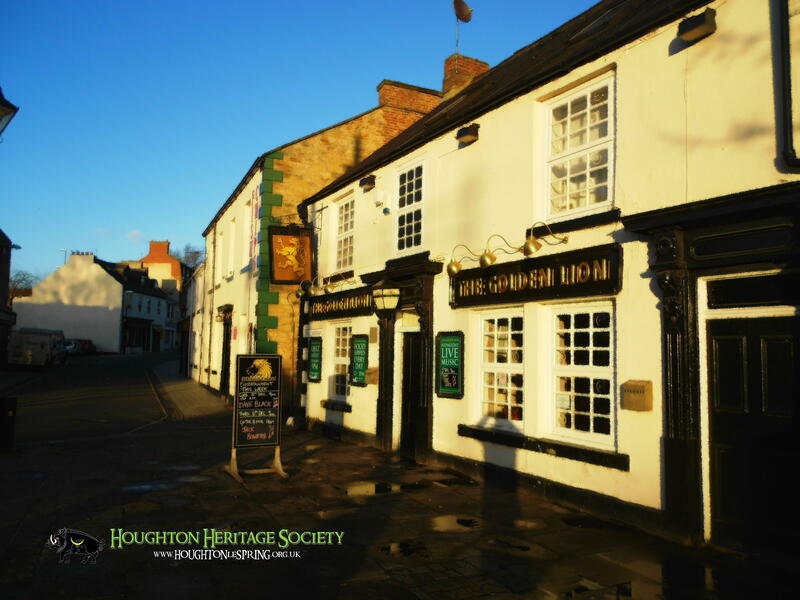 You can join Houghton Heritage Society by becoming a member on Facebook - or Fyass Byuk as we call it. We have over 3,300 members and the group is very popular with residents, descendants and ex-pats. 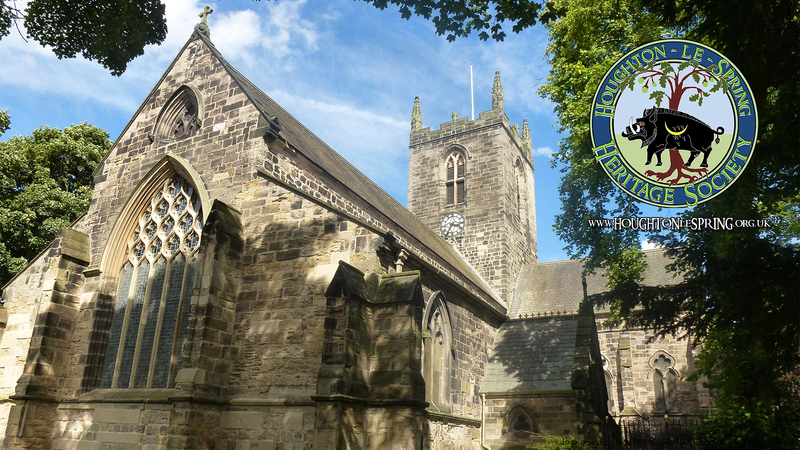 Houghton Heritage Society's YouTube Channel features exclusive videos of Houghton-le-Spring as well as footage from our heritage events throughout the year - and of course the ancient festival of Houghton Feast! Houghton Heritage Society has over 5,000 images in its collections. Many can be found on our Flickr page while our Facebook group has thousands of exclusive photographs as uploaded by our many members.